Iran’s Shahab-1 is a short-range ballistic missile derived from the Scud-B. The Shahab-1 has a maximum range of 300km (185 miles), making it capable of striking several urban areas and military sites near Iran’s borders. The Shahab-1 is liquid fueled, and can typically carry a nuclear or conventional high explosive warhead with a payload of around 1000kg. As a road mobile system, the Shahab-1 can be launched from any location on relatively short notice. 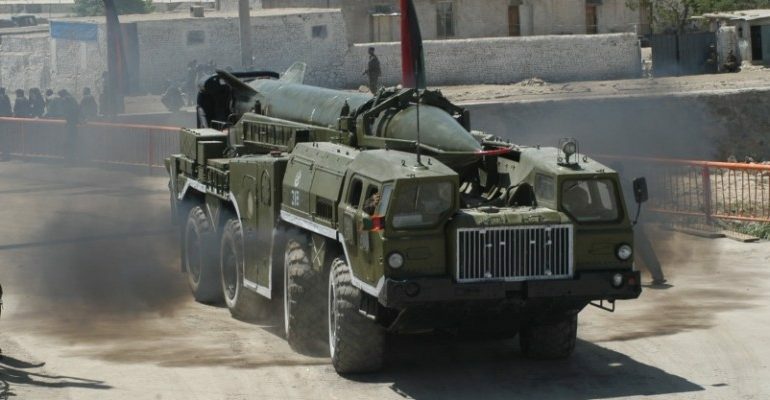 Iran first acquired the Scud-B derived missile from Libya and Syria during the Iran-Iraq war and then from North Korea during the later phase of the war and began calling the missile Shahab-1. With help from North Korea, Iran acquired the ability to produce the Shahab-1 domestically. November 1994: Iran reportedly gains capability to independently produce Shahab-1. Early 1988: Iran completes $5 million deal with North Korea to purchase Scud-B missiles. March 1985: Iran first fires Scud-B missiles against Iraq. 1985: Iran receives 54 Scud-B missiles from North Korea and Libya.